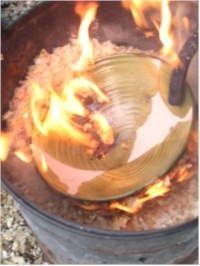 Japanese Kiln Firing method. Great Fun, Steam, Smoke and Flames. If you have tried Raku before you know what fun it is, if not you have a great experience ahead of you. The day includes refreshments, BBQ lunch and your finished glazed pots to take home. You will experiment on several pieces before moving on to larger pots. If you have your own pots you can fire these depending on size and what we think about them (materials etc.) on the day. 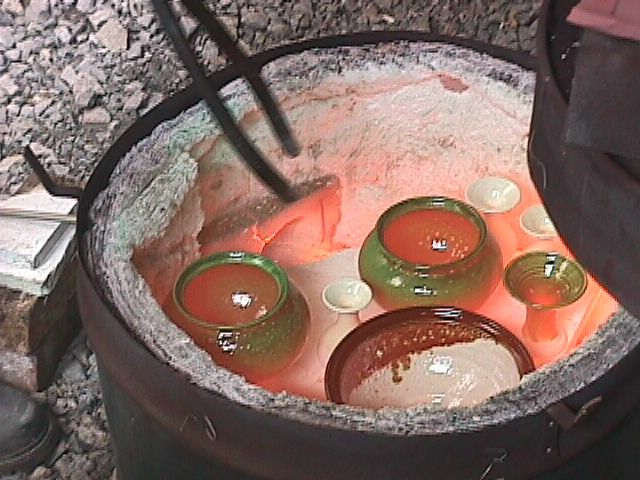 You will observe and have the opportunity to help in the firing process as well as learning how to glaze a Raku pot. The Raku Day is suitable for all (adults). The Day runs from 11:00 to 4:30. Cost £85 or £10 off when two book at the same time.